The Central Government has launched the Sampoorna Gram Bima Yojana, with a view to benefit rural India, with better life insurance services. This scheme will ensure that at least one identified village in a revenue district will be covered with a minimum of one Rural Postal Life Insurance policy each. The coverage of Postal Life Insurance has also been expanded to include people involved in professional careers such as doctors, engineers, Chartered Accountants, lawyers, bankers, etc., as opposed to just government and semi-government employees, as of now. 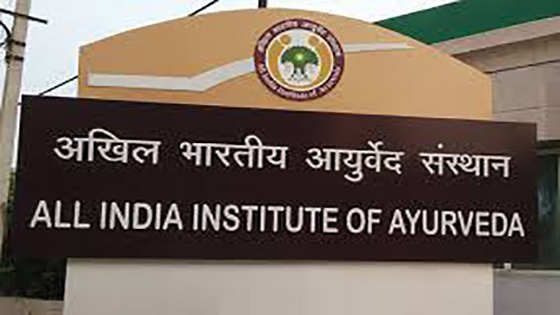 Set up in Delhi, under the aegis of the ministry of AYUSH, the first ever All India Institute of Ayurveda was inaugurated by the Prime Minister. The prime focus of the institute is to create a harmonious relationship between traditional Ayurveda knowledge and modern-day technology and diagnostic methodology. The Ministry of Women and Child Development successfully organised the Women of India Organic Festival in Delhi Haat. The festival witnessed a display of organic products, spices and cosmetics, presented by female farmers and entrepreneurs from around 25 states. Aimed at strengthening women-led groups and the local economy of communities, the festival seeks to also promote organic farming, in the process. Held annually, this year’s event registered record sales worth Rs.1.84 crore. The Ministry of Women and Child Development has launched an online campaign, #IamThatWoman, with the aim to put an end to gender bias. The campaign will seek to highlight stories wherein women have made a major contribution towards making lives better for other women. The campaign will be active on various social media platforms, enabling users to share numerous such motivational stories, and encourage the idea of women helping fellow women, shaking off existing and contradictory stereotypes. Launched along with the Incredible India 2.0 Campaign, this initiative is an attempt towards promoting tourism in India, with the aid of social media and an increased presence on digital platforms. Under this initiative, heritage sites will be taken up for maintenance by the public, private enterprises and individuals. Active cooperation of both the Ministry of Culture and the Archaeological Survey of India has been sought by the Tourism Ministry in this initiative. Providing an impetus to the empowerment of women scientists, and acknowledging their centuries-long contribution to the field of science and technology, the Union Minister of Science and Technology inaugurated the first Women Biotech Incubator at the Golden Biotech Park for Women Society in Chennai. This step will encourage more and more innovative ideas to take the shape of enterprises and further encourage women entrepreneurs.